I can only repeat what others have said, 1 episode and I'm hooked too. The pacing feels good and characters relateable. I really like the artwork and animation and have high hopes for the next episode and I'm sure it won't disappoint. Altogether a great start to the season. This looks like its going to be a good anime. I really like the art in this, the world looks lived in because of all the small details it has. I like when anime do this it adds a bit more depth. I have never done a review before but there is a first time for everything, right? I was looking at what Crunchyroll had lined up for the new season and honestly, there is not a lot out there that is catching my attention yet. Since I had some time to kill, and since this is appears to be the first episode being offered out of the gate for the new season, I figured I would give it a try. Truth be told, I really liked it. I will definitely check out the next episode to see how it holds up. The animation in episode 1 was excellent and detailed, the music was descent, the two main characters portrayed in the episode seem to be interesting enough for further consideration. Also, the idea of going off and doing something so uncharacteristically different is very appealing to my sense of adventure. I am really hoping this will turn out to be a descent series. A good start to a new season. The animation quality is good, and the two main characters that we've been introduced to so far are both likable, and engaging. The main character who's lacking in confidence to try something new, who is then dragged/influenced into doing something unusual by a more decisive character is a bit cliche, I can think of several shows recently that have taken a similar line, Amanchu (Scuba Diving) to just name one. But this is handled well by the initial episode where the character's hesitancy is shown without being over dramatised, or brought up to much. It feels natural that the hestitant girl gets caught up in the other girls extrodinary goal to the point where her longing to accomplish something pushes her to join in, without needing to much prodding from anyone else. 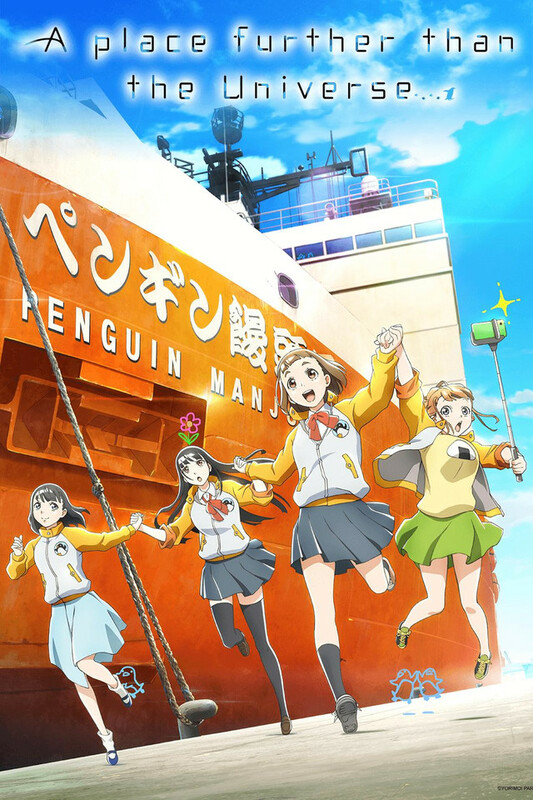 I particularly like the fact that the goal that's being aimed for here in polar exploration of Antarctica is a challenge with some seriously high hurdles for the characters to get over before they can reach their objective, and I'm looking forward to seeing how the show handles getting two fairly ordinary high school girls to the point of accomplishing their goal. High School girls hunting for their dreams! Really good story, really good characters, really good plot, really good animation and theme. I like it a lot. Was thinking "this girl is a hunter!!" while watching it haha. Really cool to see female characters written this way in a way that is also believable and realistic.